Thanksgiving is almost upon us – and Americans in Paris may be wondering what exactly the big day has in store. With the holiday coming up in just a few days, we wanted to share a piece by the folks over at Venere.com. For those of you curious about what the most traditional Thanksgiving options in Paris are, it’s definitely worth a read. And if you are still looking for Thanksgiving dinner plans in the City of Light, any of the places below are worth a call; you never know who might have last-minute availability. If you’re an American who just happens to be in Paris on Thanksgiving Day, you may feel deeply thankful for the opportunity to spend time in such a wonderful city. But when dinnertime rolls around, even the charms of Paris may not stop you from longing for turkey, mashed potatoes, and pumpkin pie. Luckily, the high number of American expatriates in Paris means that the city is used to accommodating hungry Americans on this special holiday: there are quite a few places that can fully satisfy your cravings for food from home. This restaurant’s name leaves no doubt that you’ll be getting the real thing come Thanksgiving Day. It is actually a Cajun restaurant that serves a traditional meal – turkey, candied yams, the works – on Thanksgiving Day, plus the Friday and Saturday nights following. Make your reservations as early as possible because tables fill up quickly. If you don’t get a reservation, consider ordering a catered Thanksgiving dinner from the restaurant, for two people or more. And if that doesn’t work out, then simply buy the ingredients you need to make your own dinner from Thanksgiving’s grocery store. The store sells American products, from Stove Top stuffing to cornbread mix to jellied cranberry sauce. 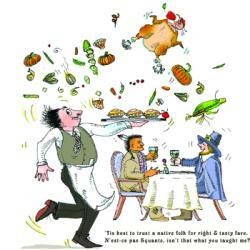 Joe Allen is an American bistro that has been around for nearly 40 years and has become an institution in Paris. It is where you go when you’re craving American specialties like barbecued chicken wings, prime rib, or pecan pie. So, it’s no surprise that on Thanksgiving Day, Joe Allen’s is ready to satisfy your turkey cravings with a full-blown Thanksgiving dinner. Again, make reservations early! This French bistro typically serves French and North African fare – but come Thanksgiving, it turns American and serves turkey. You’ll also get carrot soup, stuffing, mashed potatoes, pumpkin bread, and pumpkin or apple pie. They do take-out if you aren’t able to get a reservation or would like to have your dinner catered. 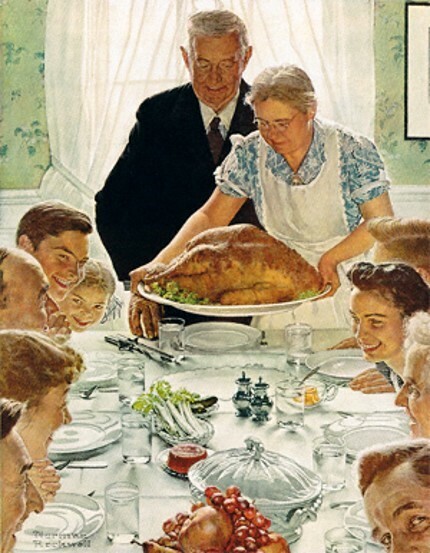 The Thanksgiving menu is available on Thanksgiving Day, plus the Friday and Saturday following. 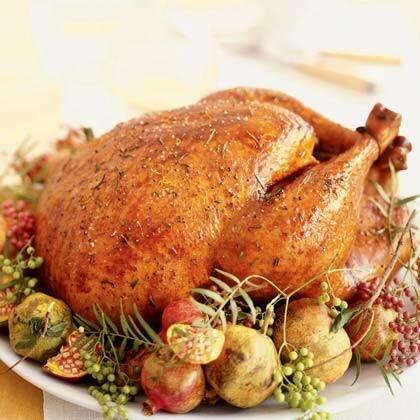 If you think you’ll not only miss eating traditional Thanksgiving food but also miss preparing it, check out La Cuisine Paris, a cooking school that is offering a class (in English) on Thanksgiving Day. There, you’ll make all the Thanksgiving favorites, including turkey, honey-baked ham, stuffing, candied yams, green beans, and pumpkin pie. Best of all, once you’re done, you’ll sit down at an elegant table to eat it all… and you don’t have to do the dishes! Happy Thanksgiving from the Haven in Paris team!